Hello my friends! Just a quick announcement! I will be hosting a small class here at my home for anyone who would like to make one of these cute snowmen in a class atmosphere as opposed to just making it yourself with the tutorial. The class will be held on both Friday the 15th and Saturday the 16th of November starting at 10am. The cost for the class is $65.00 and will cover all supplies. 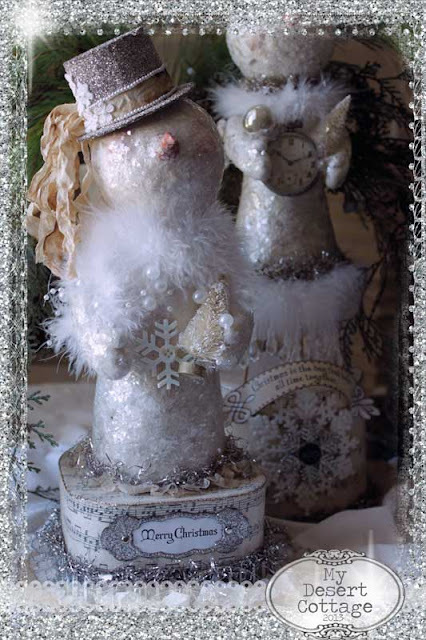 There will be an assortment of goodies to decorate your creation with, so all the snowmen will not look the same. So wish I lived closer so I could attend! What a fun time that will be!